As the backdrop of the final act of the night raised into position, I found myself wondering how I had got there. 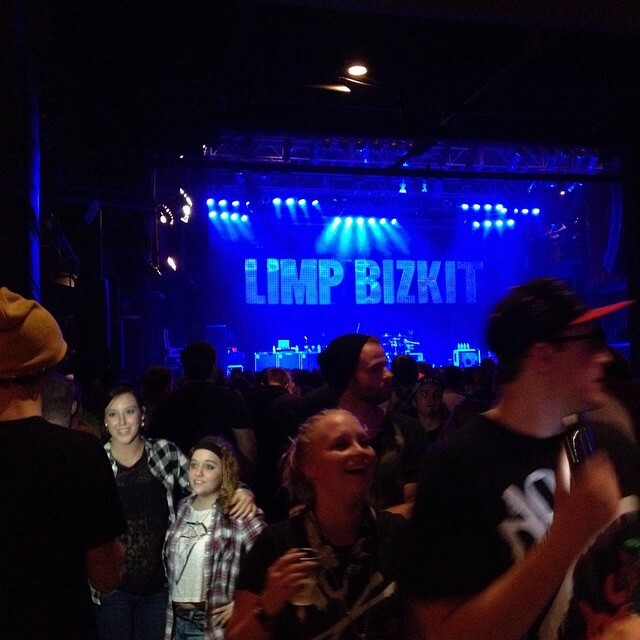 What was I doing at a Limp Bizkit concert in 2014? This adventure started off like most others, because of something on the internet. I have followed the artist BLVCK Ceiling (and became friends with him on Facebook) since 2010. He is essentially a first-wave witch house artist. 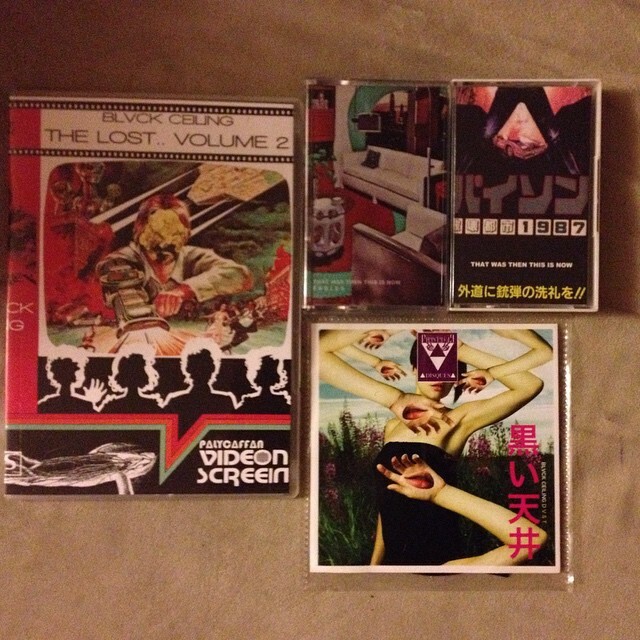 He was originally calling himself Max Beta, and the first project of his that I heard was a collection of Lady Gaga remixes that I really enjoyed (http://maxbeta.bandcamp.com/album/gagaocean-max-beta). Since then I have purchased everything he released, and chat with him occasionally on Facebook. Fast forward to 2014; where I catch a post by BLVCK Ceiling. Not just any post, but a post saying he was going to be opening for Limp Bizkit on his tour. “This cant be right,” I said to myself, but after doing a tiny bit of digging, the rumor was confirmed. 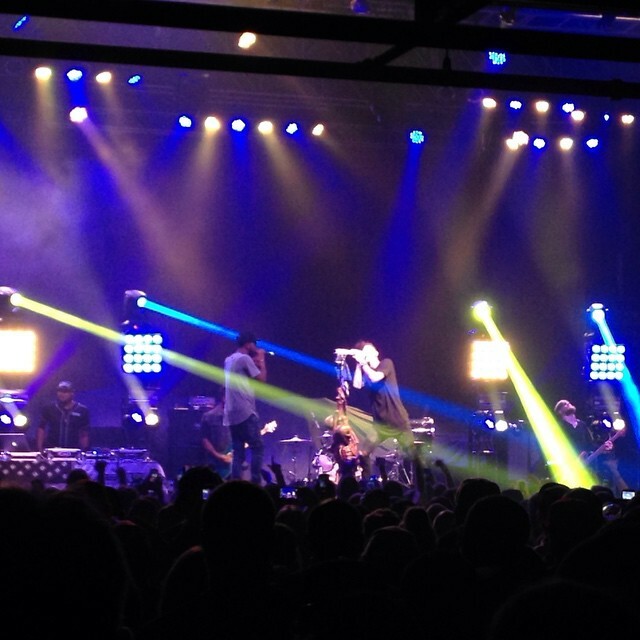 I didn’t think too much of it until I saw they were rolling this circus (also including rapper MGK) to Silver Spring. (Note: There is a video out there of Fred Durst bobbing his head to music by Salem, the godfathers of witch house. I am pretty sure BC was booked because of Fred’s apparent new love of the genre). So there I was: four tickets for a Limp Bizkit, BC, and MGK show that I didn’t dream of attending. I tell my fiancé about this, and she freaks out and gets excited, as Limp Bizkit was one of her favorite bands when she was a kid. We decide to ask two of her friends, since I knew one of them loved MGK, and we had our crew. The day of the show I check the Fillmore’s website and Twitter; doors at 7, music at 8. This was perfect, we had time to grab her friends, park, and get into the venue before 8pm. I realized something was wrong as I was in line to get in. The music I could hear didn’t sound very much like BLVCK Ceiling… I dashed inside and realized it was MGK and crew starting his set. I rushed back to the lobby and looked at the set times sign; 7 to 7:30 was when BC played. I had missed it. I was crushed and now I was going to be stuck at a show that I had zero interest in, for at least the next 2.5 hours. 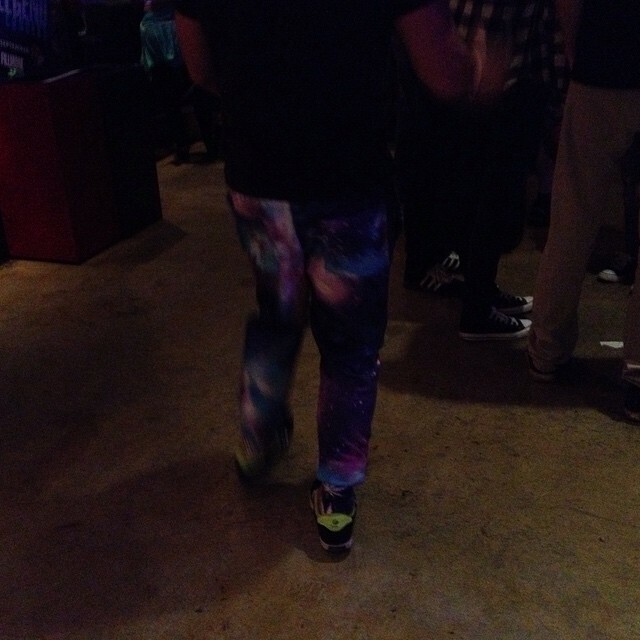 The first thing to note is that there were two distinct tribes of concert goers at the show. The first group was the MGK fans. This was a younger crowd, in their teens and maybe a few in their early 20’s. They could possibly be the new Juggalos. They were all in the same basic uniform, wearing the following MGK items: caps, bandanas either around their head or around their neck, and some also threw in vests that were covered in MGK patches. They were also the ruder of the two tribes. I witnessed a congregation of about thirty of them (all dressed the same) in the lobby while Limp Bizkit was playing (I wandered around a few times looking for my friend) and looked like quite the gang. 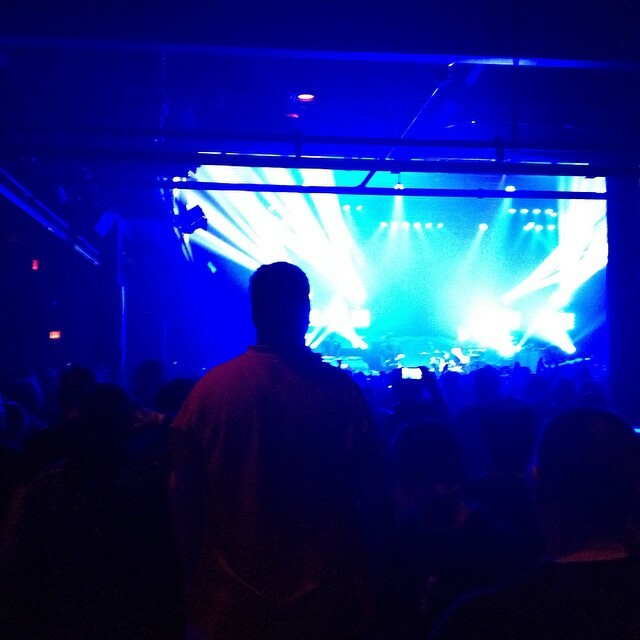 The Fillmore was packed during MGK’s set, and I think at least 20% of them took off after MGK played. And speaking of MGK playing… Wow. He had a Mohawk. He had a drummer, bassist, guitar player, and computer guy. And about three hype men. Why someone needs that many hype men when they are about as amped up as anyone I have ever seen is beyond me. He was all over the place; telling the crowd to smoke weed, somehow climbing into the balcony and magically coming down by his next verse; having a microphone stand with a fake pistol on the end that he would point into the crowd as gunshot sounds played over the system; and generally seemed to have an entertaining time, and his fans loved every second of it. It really wasn’t my thing, but it was entertaining enough, and I was able to do some good people watching (we were in the back near the stairs to the basement and the door to the lobby for his set). There was definitely good people watching to be had, there were some interesting types running around. Football jerseys flowed, including a Falcons Vick jersey wore by a small white dude (I think most of the crowd was white, though not all) who was also wearing shorts with long dress socks pull up in his athletic shoes. Or the guy with the Compton hate. There were plenty of hats. Almost ever guy had either a baseball cap or a knit cap. I have never seen so many hats at a show in my decade plus of attending shows in this area. This turned out to be an issue – as I looked for BC that night, he in Facebook looked like a lot of the crowd; black hat, bearded, white dude, with tattoos. As the MGK crowd left, the rest of the place seemed noticeably nicer. We moved up a little bit so my fiancé could see. After a slight weight, the Limp Bizkit sign was in place, and music started playing. It was some game show music song as the band took the stage. And there they were. Limp Bizkit. Fred no longer had a soul patch, but a grey beard. His signature red hat was also missing, with a white cap now claiming that real estate. And then surprisingly, I had a good time for the next 90 or so minutes. Fred was a great front man. I never got into them, and only knew their biggest tunes, but the crowd was way into it, and singing along to everything. The fans were definitely a mixed crowd, mostly 30s/40s with some 20 year old and teens thrown in. We even saw two 10 year old girls going nuts the whole time (I think their parents must have been these heavier women who took up residence in the stair well for the show). Everyone was dancing and having a great time, my fiancé including. I wish I could say that it was a horrible experience, but in truth, it was a lot of fun. Fred was a charismatic frontman, and he had lots of banter during their set (but not too much) and maintained a high energy level throughout. The band sounded ok (especially Wes, I dig some of his guitar work; I was also surprised to see him in a full body latex suit/mask thing) and played a mix of songs I had heard before and ones I hadn’t, but the crowd seemed to love them all. 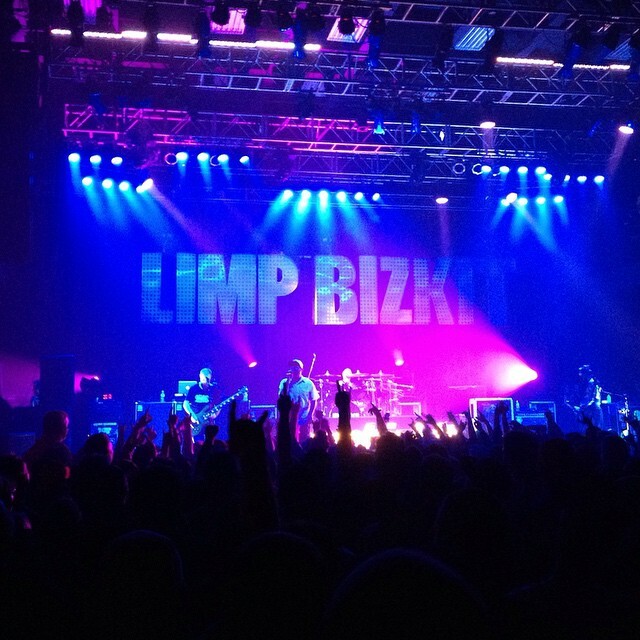 The time flew by and by the end, while I wasn’t a Limp Bizkit fan all of a sudden, I did have appreciation for the band, and their seemingly passionate fans. The covers of the night were Faith (yay!) and a not that great Killing in the Name cover, which the crowd loved. Sadly I didn’t meet up with Dan; he finally messaged me back on Facebook as we were driving off. Maybe next time he said. And he also told me that Limp Bizkit is now fam. Lastly, thanks again BLVCK Ceiling!